« If we did need a striker, who would it be? Numbered shirts and Chapman – re-writing the story once again. The Arsenal History Society persuaded Ivan Gazidis, at a meeting in his office at the Emirates, to embark on the placement of a series of statues outside the ground. Our idea for the first one was Chapman. For this article I am incredibly indebted to Neil Glackin who uncovered the new information while working on his MA thesis, and took the time to forward it to me. What follows is very much Neil’s article, with just a few tweaks from me. Herbert Chapman was in favour of changes, there is no doubt of that, but not all the changes he has been credited with are changes that he actually instituted. 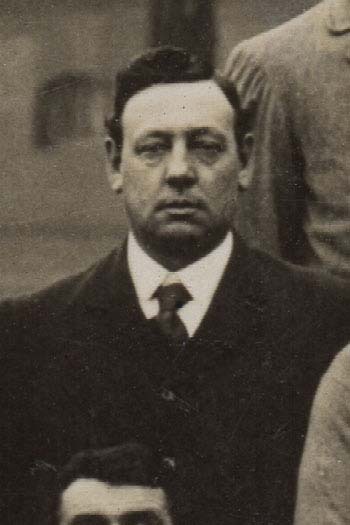 We’ve done a lot on this site, for example, to debunk the myth that he changed the name of the club from The Arsenal, to Arsenal. That’s nonsense – it was done long before he arrived. And now it looks like the numbered shirts innovation has to be re-written. We’ve already re-written this bit of history once by pointing out that when Arsenal wore numbered shirts for the first time they were one of just four clubs to do so. The new findings that we now have come from an article in the Dublin Evening Mail which ceased publication in 1962. On August 16 1927 edition the newspaper ran a small article under the headline ‘A FOOTBALL INNOVATION’ features the views of several club managers on the use of numbered jerseys by Chelsea in a trial match. It is not specified who Chelsea were playing, but the reasoning behind the numbers is explained by then-manager David Calderhead. We really did it to assist the spectators to follow some of the young and comparatively unknown players who took part in the trial yesterday. When asked if the move had been tried with a view to assisting the wireless announcer for “running comment” on future broadcasts, Calderhead said “no such idea had entered his head”. It is also apparent that the players were numbered 1 to 11 in the traditional fashion (full backs 2 and 3, half backs 4, 5, 6 – even though the number 5 now most of the time played between the full backs as a central defender, with 8 and 10 playing attacking midfield, 7 and 11 as wingers and 9 as centre forward. It is quite sufficient for players to be numbered on the programme. It is to my way of thinking unnecessary for them to be numbered like so many jockeys. In my long experience of football I have always found the crowd able to pick out any man after a glimpse at the programme. If the players keep to their places on the field it is as easy as ABC to find them by looking on the programme. This applies equally to visiting teams, who are usually unknown to the average supporter. The theme of jockeys was always brought up by Sydney King, manager of West Ham United, when he got wind of the news. It makes football players look too much like horses and jockeys . . . The average spectator knows enough about football to be able to trace them to their position on the field . . . No the numbering of players is, in my opinion, totally unnecessary. Mr Chapman, manager of the Arsenal, said “I don’t see how the idea can be otherwise than useful. There are always a certain number of spectators who do not know the players — strangers in every sense — to whom the numbering of players would prove a great aid. For the average spectator, however, the innovation would hardly be necessary”. But by the time they stepped out to play Swansea Town on the opening day of the 1928-29 season, Chelsea had not obtained permission. And neither had Arsenal. They had just taken the initiative upon themselves. And permission probably was needed – at least given the fact that Arsenal had to get league permission to put white sleeves on their shirts in1933. 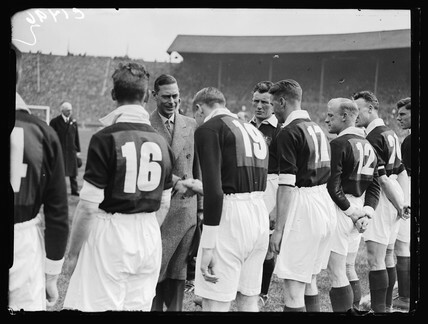 Despite the backing of the media and supporters, it would take another five years before the FA would even begin to recognise numbered jerseys as a worthwhile idea – and they experimented in the 1933 FA Cup Final between Everton and Manchester City with Everton wearing 1-11, while Man City wore 12-22, with their goalkeeper Len Langford as the number 22 and striker Eric Brook as number 12. However there is another point – which knocks the England-centric vision of football a little. On 30 of March 1924, Vesper Buicks, from Saint Louis, Missouri, played the Fall River Marksmen from Massachusetts in the National Challenge Cup Final. The Marksmen won 4-2, but by wearing numbered jerseys the Buicks made their own piece of football history. The idea was most likely copied from other sports in America using numbered uniforms, as American Football, Hockey and Baseball would all have used numbers to varying degrees before this time. But in terms of English soccer, and indeed European soccer, it would appear that Chelsea were the team to lead the way.